For the past four years, J.K. Rowling has had a tradition on Twitter of apologizing for killing off particular characters from the Harry Potter series. This year, Rowling apologizes for what may have been the saddest death of them all: Dobby the House Elf. On May 2nd, 2015, the 17th anniversary of the Battle of Hogwarts featured in Harry Potter and the Deathly Hallows, J.K. Rowling took to Twitter to apologize for one particular death from the books and movies that broke fans hearts: Fred Weasley. Rowling has made a tradition of it since then, apologizing for the death of Remus Lupin in 2016 and the death of Severus Snape in 2017. This year's apology is for Dobby, who may not have died in the Battle of Hogwarts, but whose death still rattled fans all the same. While this is a great gesture to Harry Potter fans who were absolutely devastated by the death of Dobby, there are some people who wonder if this is even necessary. Dobby, as we all know, is a fictional character in a fictional story, so many people don't see the point in these apologizes. However, to many, Harry Potter was more than just a book series or a movie franchise. The series changed people's lives, giving people hope when there was none, so an apology like this shows that Rowling understands how connected her readers were to her characters. 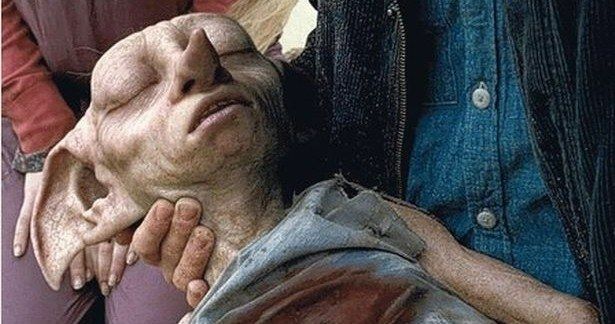 While the death of Dobby the House Elf was certainly a tragic moment for people who watched the movies, it was arguably even harder for those who read the books as well. Whereas Dobby only appeared in two movies, Harry Potter and the Chamber of Secrets and Harry Potter and the Deathly Hallows - Part 1, Dobby appeared in almost every book, with The Philosopher's Stone and The Prisoner of Azkaban being the two exceptions. Because of this, Harry Potter fans who read the books were able to follow Dobby's entire story arc, even during the time that he worked at Hogwarts. Seeing the development of his character made his eventual self-sacrifice to save Harry Potter one of the most tragic moments in the entire series. The fact that J.K. Rowling's annual apologizes can apply to more characters than just the ones who died in the Battle of Hogwarts leaves Harry Potter fans curious to know whose death Rowling will apologize for next. Beloved characters like Albus Dumbledore, Hedwig, and Sirius Black, who died before the Battle of Hogwarts, are now fair game for her Twitter account to apologize for. However, there are certainly a number of fans who are still expecting apologies for character deaths that did occur in the Battle of Hogwarts, including Lavender Brown, Nymphadora Tonks, and Colin Creevey. This sentimental apology from J.K. Rowling's Twitter is certainly appreciated by fans around the world who did not want to see the beloved House Elf go. Dobby was certainly a fitting death for Rowling to apologize for on the 20th anniversary of the Battle of Hogwarts. It's been almost 11 years since the novel Harry Potter and the Deathly Hallows was released, but Dobby's death is still a moment many Harry Potter fans are having difficulty moving on from.